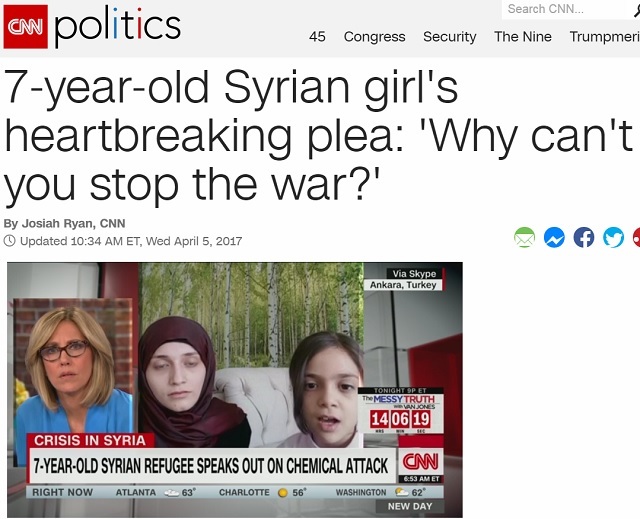 CNN is calling it a “7-year-old Syrian girl’s heartbreaking plea” to stop the war in Syria, in reality it’s a fake news hoax to get the Trump administration to overthrow Assad and turn on Russia. The top story on CNN’s front page today is a disgusting Iraq-has-WMDs-style fake news story to con America into another war. 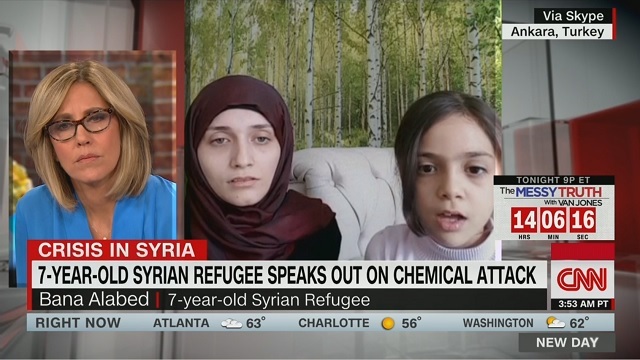 Under the title, “7-year-old Syrian girl’s heartbreaking plea: ‘Why can’t you stop the war?’,” CNN anchor Alisyn Camerota is seen interviewing a 7-year-old Syrian girl named Bana Alabed. “What is your message to President Assad?” Camerota asks the 7-year-old. “I don’t know Bana, I don’t know why the world can’t stop the war in Syria someday,” a torn Camerota responds, ignoring how incredibly fake and staged the whole shameless stunt she just took part in is. This is the epitome of fake news and it’s a thousand times more dangerous to our country than some schmuck in Macedonia writing about fake endorsements from the Pope.